Home Currency Financial Tips Will The Iraqi Dinar Surge In Value? Will The Iraqi Dinar Surge In Value? The Iraqi dinar has been relatively weak compared to the majority of other global currencies over the past few years. It's been weak against most currencies since the early 1990s, but it hasn't always been that way; it was a major global currency for decades up until about 1991. Since then, however, it's been one of the weakest currencies around the world. The Iraqi dinar has had somewhat of a range-bound valuation over the past few years. During this time, it's had a high of 1,209, and a low of 1,089 when compared to the United States dollar. Rough estimates say that $1 is worth roughly 1,191 Iraqi dinar. However, since it's now at the weakest it has ever been, then there's only room to grow in the next few years and that's exactly what many investors and analysts expect from the Iraqi currency . But does that mean that the dinar will be undergoing a revaluation in the next few months? Before we can answer that question, we should look at what a revaluation actually is. In essence, this is a significant change in a currency’s official exchange rate. While there's normally some fluctuation in exchange rates all the time, these are natural and do not tend to variate too much. Normally, this change is done in regards to the value of other currencies, but it's also common for the exchange rate to be compared to the likes of gold, oil or other precious metals. This official exchange rate typically acts as a baseline when the currency hits the market. This then lets the currency fluctuate in its exchange rate daily. A revaluation is normally undertaken by the government that issues the currency, but it's also fairly common for the company's central bank to do so. Furthermore, there have been some cases where a government and central bank work together throughout the process of a revaluation. Revaluations occur on a regular basis around the world, although it's on a fairly informal basis. Informally, a currency can be revalued through the likes of interest rate hikes and is normally used to help attract foreign investment into a particular country. Officially, there's been no word of an Iraqi dinar revaluation in 2019. Having said that, the Iraqi government has been auctioning off the currency for the past few years in order to bring foreign investment into the country. Many of these auctions have netted the country between $100 million and $200 million per day. Because of this, it seems as though the Iraqi dinar is growing in popularity among investors despite the fact that it currently has a low valuation. This may indicate that the Iraqi Dinar is set to see its official exchange rate change at some point soon. However, there hasn't been a formal revaluation for the currency in a number of years. This may be due to the economic, social and political turmoil in the country over the past 15 years. However, there has been some other recent news that may have an effect on the Iraqi dinar. The country has applied to become a part of the European Bank for Reconstruction and Development. The European Bank was set up almost thirty years ago and helped a variety of formerly Soviet countries to transition from communist countries to capitalist economies with freer markets. Should the country be accepted, then there will be some significant effects for Iraq in general and for its currency specifically. Given the recent turmoil in Iraq invasions—wars and a host of other things—then it may be likely that the country will be accepted into the bank. This should provide significant help and investment into the country, which will end up being reflected in the dinar's official exchange rate. While it may be at a low now, that looks set to change in the next few years. 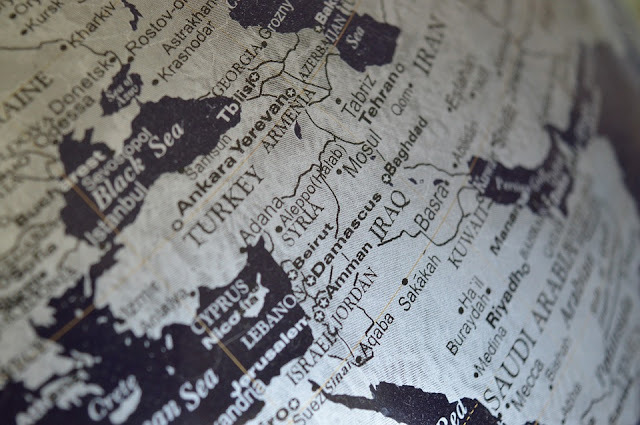 While there may not be an official revaluation in 2019, all signs seem to be pointing to the Iraqi dinar growing in strength in the next few months and into the next few years. However, until either a significant investment in the currency occurs or a formal revaluation, the Iraqi dinar should stay within a reliable range. This will make it a clear investment for people, as it's only set to rise in the future.